Protestant Episcopal on Wolcott between Conover and Van Brunt. The latter three of these were considered "mission" churches. A mission church was/is a church that was/is not selfsupporting, but relies on funds from a larger congregation or organization. A mission church was frequently founded by a well to do congregations with an interest in tempering the unsavory habits of immigrants by preaching temperance and conversion from misguided doctrines like papist ways. On the other hand, there were quite a number of Churches above Hamilton avenue along Hicks, Henry, Clinton and Court streets. Visitation of the Blessed Virgin, R. C.
The church of the Visitation of the Blessed Virgin Mary was dedicated in 1855 at Ewen street and Van Brunt. In 1876 the foundation was laid for Visitation to be build in Gothic style of Connecticut granite. It was to cost $180,000 and seat 1,500. The 1877 church fund raising picnic was held in Scheutzen park and attended by such local dignitaries as Martin Shea, Alderman Donovan, both local Liquor store owners. On the 1886 map at Verona and Richards. This church had a large and active Irish population in the mid to late 1800s. A building still stands on Richards at Verona. 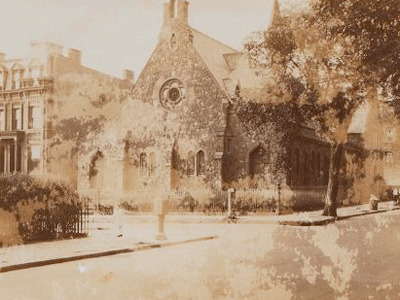 Christ Chapel at Wolcott street Brooklyn was organized as a Protestant Episcopal mission church in 1867. 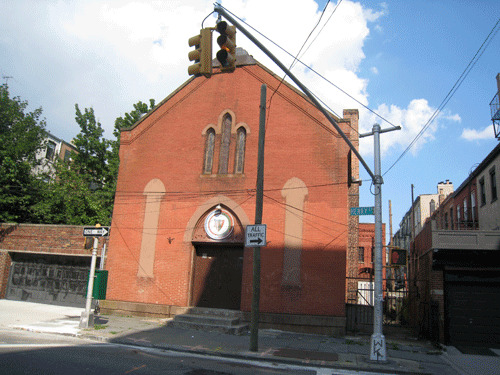 It was associated with Christ Church at the corner of Clinton and Harrison in Brooklyn. It was shown on the 1880 and 1886 maps on the north side of Wolcott between Conover and Van Brunt as P. E. Chapel - On 1898-99 map as Christ's chapel. 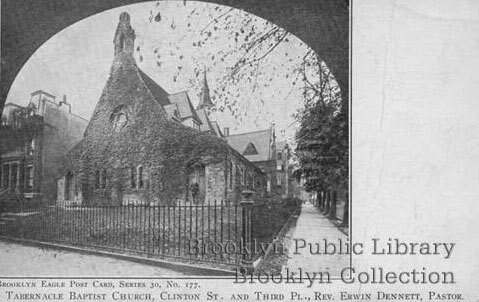 Listed in a Brooklyn Eagle article as Christ P. E. Chapel, Wolcott street in August 1896. The chapel was redone from plans drawn by "Messrs. W & G Audsley" at a cost of $31,000 and was dedicated in May 1900. The old chapel had" stood on the ground for more than thirty years and had to be taken down sometime more than a year ago" (BE). Listed as "mission" church in 1908 it was said to have a seating capacity of 500 with three services and weekly communion on Sundays and one service on weekdays. Christ Chapel celebrated its 75th anniversary in 1943. Mission churches were established in poorer, frequently immigrant, neighborhood and were supported by wealthier WASP congregations. For instance, in 1880 the Williams street Mission was give $750 by the Juvenile Mission of the Sands Street. M. E. church. The Juvenile Mission collected $66,900.80 gave $48,320 to the "parent society", covered festivities expenses amounting to $3,608.18 and gave $2,490 to the Five Points Mission, $1,710 to the Bethel Mission, $550 to Howard Home Little Wanderers, $350 to Mexican Mission, $750 to Williams street Mission, Brooklyn, $950 to Wycoff street mission, $225 to German Mission, $345 to Howard colored Orphans, and the rest to other miscellaneous missions. There are other examples of the Williams street mission receiving funds in 1864, 1865, and 1877. The 1875 census listed 117 William street, brick value $2,000 Edward K Fanning, 53 born Suffolk minster of the gospel, Rachelann 42, wife, Edward son 24, Rachael E 18 daughter, Anna M 11 daughter. The Rev. Edward K Fanning a methodist minister formerly prominent in South Brooklyn died at age 88 in Port Jefferson on March 2, 1909. In 1880 the Rev. Edward K Fanning of Matituck, L. I. peached at St. Paul's Church on Van Brunt between King and Sullivan. 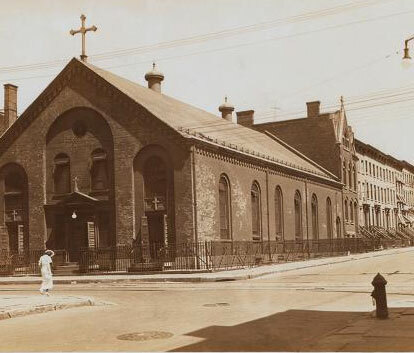 When it opened in May 1879 the St Paul's M. E. "mission" was located on Van Brunt between Sullivan and King Streets. 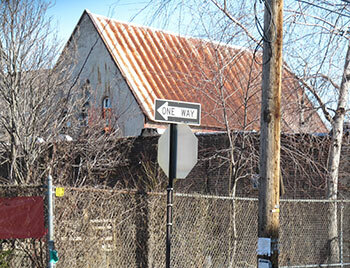 The mission was originally on Williams street and known as the Williams Street mission. It was associated with the First Place M. E. church "although not branch" of that church. A church was not indicated on the 1880 map. On the 1886 map as St. Paul M. E. Church at the north west corner of Richards at Sullivan. No longer standing. A corner stone was lain for St. Paul's Methodist Episcopal Church South Brooklyn in September 1884. Service were to be held in a tent at the corner of Richards and Sullivan. If the weather was unfavorable the services were to be held at the Hall on Van Brunt, near Sullivan. In the fall of 1885 work on the church, which had been suspended for about a year, recommenced. The building was described as 75 feet by 99 [?] with a stone basement and brick upper with stone trim, having a "fine gothic front". On Sullivan street was a three story 20 x 50 parsonage with gothic windows in "harmony" with the church facade. St. Paul's Methodist Episcopal "filed" with the County Clerk in April 1886. 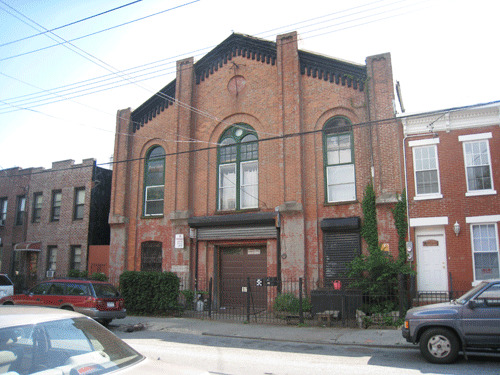 The congregation was formed from a group that had been worshiping in a hall at 346 Van Brunt near King "for some time". 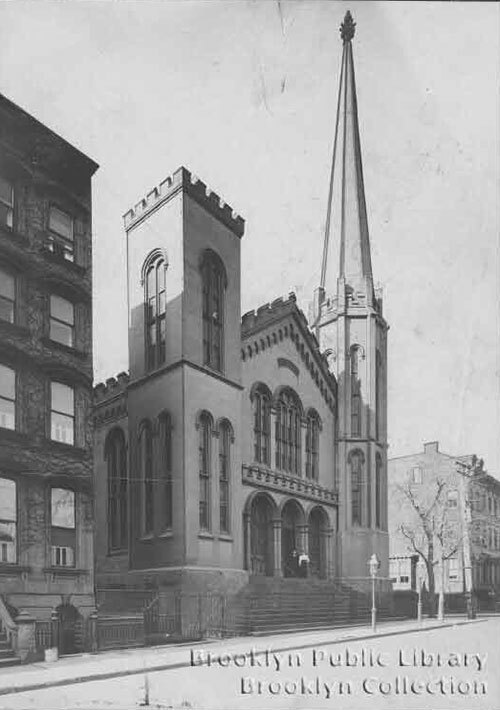 In 1887 the "pretty little lecture room" of St. Paul's chapel at Richards and Sullivan filled to capacity for an evening of musical and literary entertainment at which the Rev. Henry Ward Beecher made an appearance and made some remarks. 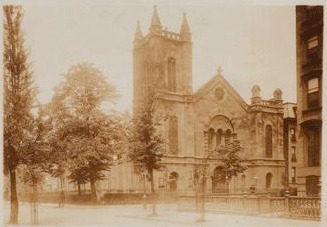 St Paul's M. E. (Methodist) Church, corner of Sullivan street and Richards - celebrated its 9th anniversary in May 1888. Listed in the 1886 Brooklyn Eagle Almanac. Listed in 1895 at Richards and Sullivan streets. In 1890 St. Pauls's Methodist Episcopal Chapel at Sullivan and Richards was filled to capacity - 400 people - to hear a brief talk by General O. O. Howard - a Civil War veteran. In 1893 the Rev. Laass was pastor and the church was said to have a substantial Scandinavian population. The Norwegian Seamen's Mission in New York was established in 1864 by the Scandinavian seamen's mission in Bergen, Norway. The purpose was to preach to Scandinavian sailors in foreign ports. In 1878 the Seamen's Mission in Bergen Norway appointed Ole Bugge Asperheim to establish a Seamen's church in New York. 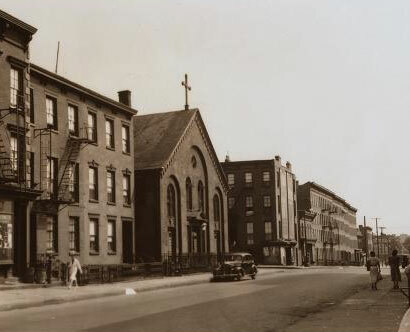 The first church was at 111 William (now Pioneer) Street in Red Hook, Brooklyn. "The Norwegian Seamen's intended for Norwegian sailors who may be in port, was organized in July 1878, and met first corner of Van Brunt and President streets, purchased from the William street Methodists in 1879 for about $11,000. Connected with this church is a reading room. Pastor Rev. C. Hansteen." On the 1886 map as "Norweg. Ch"
"Consul Bors secured a suitable building on William Street, supplied furniture and an organ and presented a picture, "The Crucifixion" an oil painting by an Italian artist." In February 1890 the Scandinavian Seamen's Mission celebrated its 10th anniversary at the Brooklyn YMCA. Rev. K. K. Sarheim said that 25,000 Scandinavian sailors came to the port of New York every year. "The objects of the mission are to give spiritual aid to these many wanderers and provide interventions against the many evils besetting strangers in this city and New York. Missionaries visit the vessels as they arrive and depart and furnish the sailors with good reading matter. In addition, the hospitals and jails are visited, while in the evenings of the week gospel meeting (sic) are held in the church on William street. A free reading room is also an adjunct, while the Sailor's Temperance Home, on Hamilton avenue is a recent institution. Regarding the latter, 2,590 boarders were entertained during 1889, and additional facilities will be necessary during the present year. The only places where the missionaries have been refused admittance are the boarding houses, which may be classed as the worst hinderance to the work of the mission." Another speaker was the Rev. C. S. Everson of Our Saviour Norwegian church on Henry Street. "More than twenty thousand Scandinavians sailors come yearly to the port of New York. Between 25 and 30 per cent of the sailors on American vessels are Scandinavians; the entire deep water fleet, schooners, yachts, navy and coastal steamers and government vessels are, as to their crew before the mast, manned chiefly with Scandinavians." Brooklyn Eagle April 5, 1891. 111 William (Pioneer) Street was the home of the Seamen's church for 50 years. In July 2009 Lars Nilsen informed me of the location of this church. It is currently used as a residence. In August 2010 Linda Shoesmith wrote to say that her great grandfather Borre Haugvalstad received correspondence at the church in the 1890s. Borre Haugvalstad was from the Haugvalstad (Haugvaldstad) farm which Linda believes is on the island of Rennoysoy near Stavanger. Pastor of the Norwegian Seamen's church from 1878 to 1880. Ole Asperhejen, age 26 years, born	7 jul 1846, father, Ole Halvorsen, married on	13 apr 1872 in	Oslo, Akershus, Norway to	Sofie Petrine Larsen Age	21 years born	4 sep 1851 father	Karl Larsen. Ole Asperheim age 26 pastor arrived in New York Harbor on July 1, 1872 on the St. Olaf from Bergen, Norway. 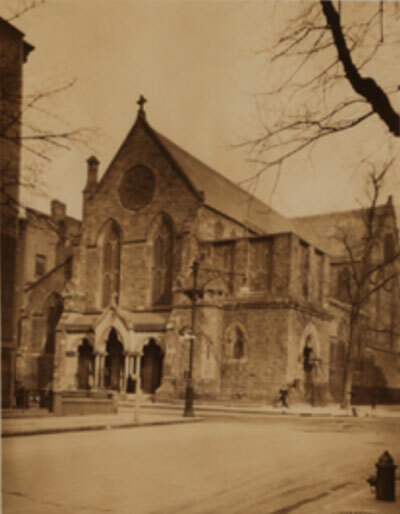 In 1880 Ole Asperheim, age 35, clergyman, born Norway was listed at 562½ Clinton street. Listed with him was his wife, Sophia, age 28, born Norway, August son age 5, born Wisconsin, Alfred son age 3 born Wisconsin, Sophia daughter age 6 months, born New York, Brig Larson mother in law age 60, born Norway, Christine Hanson age 20 servant, born Denmark and Sopus Hanson son age 4 born Wisconsin. %62 Clinton Street is just north of Hamilton Ave. I do not know how long Ole Aspeheim stayed at the church. Pastor of the Norwegian Seamen's church from 1880 to 1885. Pastor of the Norwegian Seamen's church from 1885 to 1889. Pastor of the Norwegian Seamen's church from 1889 to ??. By 1891 the Rev. Kr K Saarheim was in charge of the mission. Jacob Bo age 31, pastor Norwegian arrived in NYC May 19, 1894 on the Venetia from Christiansand steerage. He was listed at 117 William street in 1900: born April 1863, age 37 married 9 years, born Norway, immigrated 1894 alien, clergyman, no family was listed with him. In 1902 the Rev. Jacob Bo, minister of the Norwegian Lutheran Seamen's Church, 111 William street, returned to Norway to receive a "royal appointment at to an important parish in Norway near Kristiansand". He was replaced by the Rev. Tycho Castberg "late of Meidalen, near Frouddjan, Norway". The Rev. Tucho Castberg, pastor of the Norwegian Seamen's Church, in William's Street, Brooklyn, reported to the police of the Hamilton Avenue Station, that borough, yesterday that thieves had entered the church and stolen $1,200 from a safe in the study. The pastor said that the church had been entered sometime during the night and early morning. Capt. Murphy and one of his detectives went to the church and found the door of the safe open. It had not been forced apparently but unlocked. In a drawer from which the $1,200 had been taken the Captain found $60 in coins, left behind by the thieves. The burglars had gained entrance to the church by forcing a rear door opening into the reading room. The pastor discovered the robbery when he went to the church to do some writing in his study. No trace of the thieves has been found. 1909 October 3, SS Cleveland, from Hamburg to New York, Castberg, Tycho age 37 clergyman, born Norway, Non immigrant alien, from Nordstrand Christiania Mrs Castberg wife, to 111 Pioneer street Brooklyn, 5 ft 8 inches, born Drontheim, Norway. The vine covered facade is that of the much larger section of the Seamen's church which is not visible from the street. 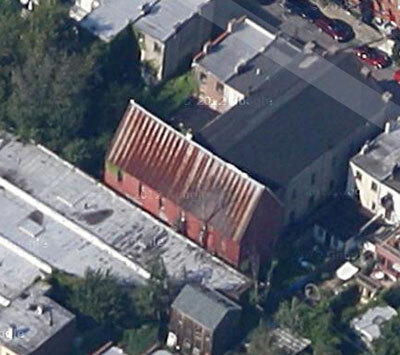 This Google arial view shows the old church which is not visible from the street. The old church as seen from Van Brunt near King street. 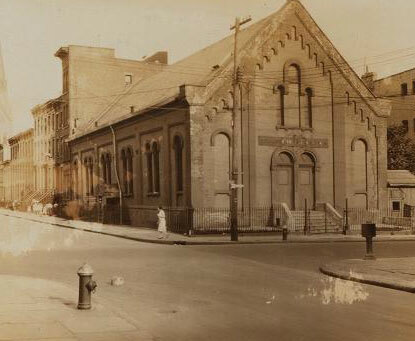 In 1928 the Norwegian Seamen's Church moved to the corner of Clinton Street and First Place in Brooklyn - 33 First Place. This was the former home of the Westminster Presbyterian Church built in 1856. 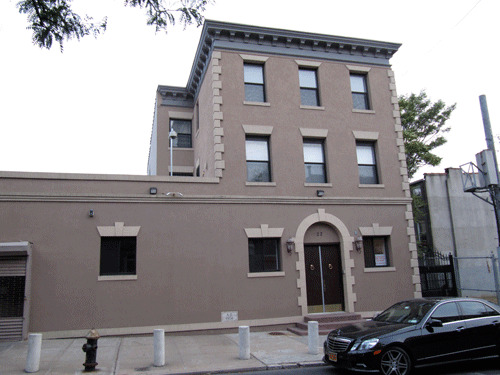 In 1983 the the Norwegian Seamen's church moved to Manhattan. The building, on the corner of Clinton and First place, is currently an apartment building. 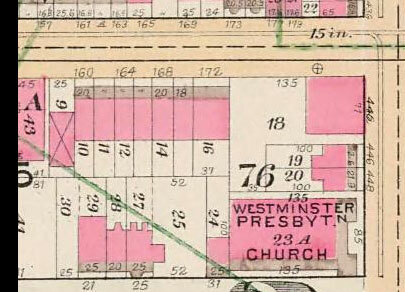 An 1886 map of the area show a Presbyterian Church at this address. 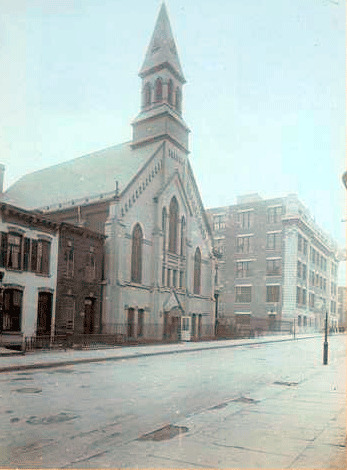 "Clinton Street, at the N. W. corner of First Place, showing the Westminster Presbyterian Church organized on January 31, 1856. It was opened for services in a frame structure on this site in 1856. In 1867 this building was erected. In 1929 it had become the Norwegian's Sailor Church. 1922. Eugene L Armbruster Collection MAY BE REPRODUCED"
Listed as the Westminster Presbyterian Church on the 1898-99 map. 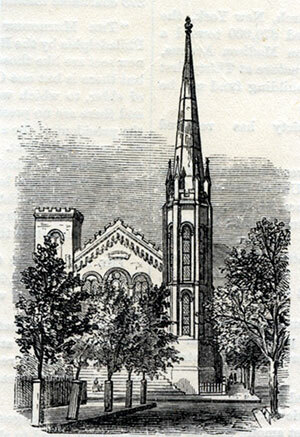 The Norwegian Lutheran Church of Our Savior was originally formed in Manhattan in 1866. At that time the largest percentage of the Norwegian population in New York was in that borough. Over time a large portion of the Norwegian population shifted to Brooklyn. 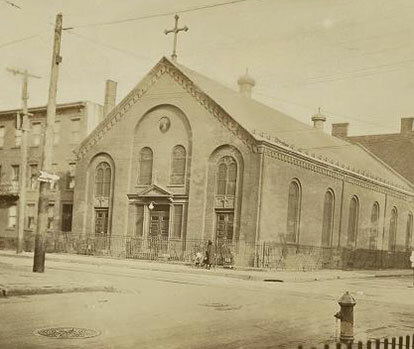 The church of Our Saviour was located at 56 Monroe Street, Brooklyn in 1876. 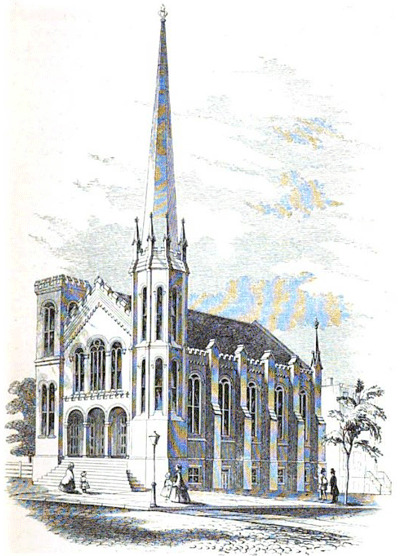 A new church of Our Savior was built on Henry Street in 1885. It was described as a "neat brick structure 45x85 with Gothic stained glass windows and a gable front". The lower level contained two school rooms each 24x36 and a "number of small apartments". The main part of the church was on the upper floor and was large enough to hold a "considerable congregation." Eventually the New York area Norwegian population shifted again, this time to the Bay Ridge section of Brooklyn. The 1880 map shows a vacant lot where the church was later built. The church was listed as "church" on the 1898-99 map and the "Norwegian Lutheran Church" on the 1903 and 1916 maps of the area. The present church of Our Saviour is at 414 80 Street Brooklyn, NY. 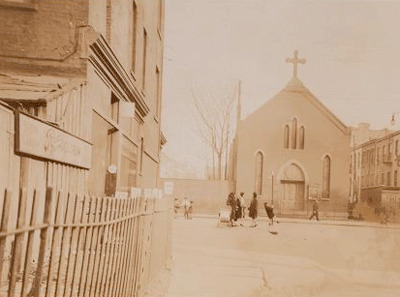 Henry Street at the southwest corner of Rapelye Stree, showing Public School No. 142. The view south on the west side of Henry Street and shows also the Lutheran Church of Our Saviour. Board of Education of the City of New York early 1930s. 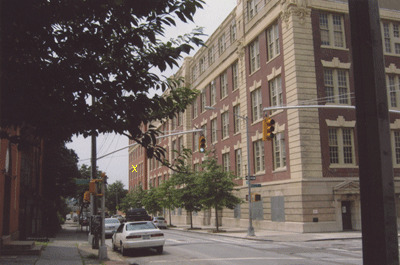 This 2010 photo shows the school much as it appeared in the 1930 photo. The yellow "x" indicates a post 1930 addition where the church once stood. Red arrow indicates the location of the Norwegian Lutheran Church of Our Savior. Henry street runs through the center of the image. Rapelye street runs between Hicks and Henry between Third and Second. 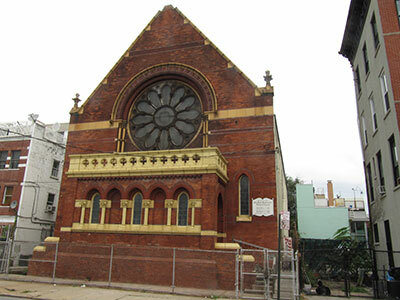 The Brooklyn Daily Eagle almanac of 1921 lists the Norwegian Lutheran Church of Our Savior, 632-636 Henry Street, Brooklyn as established in 1866. On his walking tour of Red Hook in August 2010 Lars Nilsen, Historian, noted that the church was originally located on Monroe Street and is presently in Bay Ridge. Our Saviour was not listed in the 1874-75 Directory for Brooklyn under Lutheran Churches. "Church of Our Saviour (Norwegian) 56 Monroe Street, Rev S. O. Juul" Lutheran, New York as it was and as it is: giving an account of the city from its ... By John Disturnell, 1876. The building on Henry Street appears to have been erected in 1885. The Evangelical Lutheran Church of St Matthew has the following reference to Our Savior Norwegian church on Henry Street. "I believe that the first Norwegian Lutheran Church in New York was organized by Lauritz Larsen, then Norwegian Professor in Theology at Concordia Seminary, St. Louis, who stopped here for a while on his way to and from Norway in the early sixties. The first resident pastor was Ole Juul, who came to New York in 1866 and labored here until 1876, when he was succeeded by Pastor Everson, who was actively engaged as pastor in New York and Brooklyn from 1873, until 1917, when failing health compelled him to retire. The Building Department has granted a permit to the trustees of Our Saviour Norwegian Evangelical Church for the construction of a church and Sunday School building at 632-636 Henry Street. The building will be of brick, two stories high, and will cost ten thousand dollars. St Matthrew's Evangelical Lutheran church on Henry street, between forth and fifth places was dedicated yesterday by services in three languages - Norwegian, German and English. The Norwegian service was in the morning, conducted by Rev. O. Juul, assisted by the Rev. H. A. Prus and O Hanstein, of the New York Sailors Mission. In the afternoon Rev. S Kyhl, of Castle Garden, conducted the service and preached the sermon in German., and in the evening the service and sermon were by Rev. B Korn, a young minister from Boston. 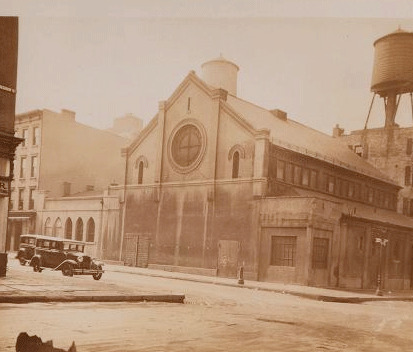 St Matthew's Evangelical Lutheran Chruch is the old New York Norwegian Church, which flourished greatly when New York's ship yards were active. Since their decline it has gone down by reasons of removals till now it has to move after the quarter part of its old congregation, who have settled in Brooklyn. The services henceforth will be conducted in English and Norwegian, probably Norwegian in the morning by the Rev. C. S. Everson. The services yesterday all drew very large attendance. The church cost $17,000, and the ground on which it stands coat $6,000. Two thousand dollars of this is yet unpaid. Note: Despite some confusion about the church's name: "St Matthew" in this article versus "Our Saviour" and the slight difference of address: "between 4th and 5th place" instead of across from 4th or 3rd place as listed in other descriptions, this is clearly the Norwegian church of "Our Saviour". On the 1886 map of Wards 6 and 12 there is no listing for 5th place. The map shows "church" on the west side of Henry between third and forth places. L M Larsen, 154 Luquer Street was listed as the "Supt." of Our Savior Norwegian, Henry Street near Thrid Pl in The Metropolitan Church and Choir directory of New York and Brooklyn ... also listed were: Pastor Rev. C. S. Everson, 16 3d pl., Oraginst W. SeBastian, 9 Ferry St, New York, Sexton, N Boergesen, 632 Henry, 1888. The Rev. Charles Severin Everson, pastor Emeritus of the Norwegian Evangelical Lutheran Church of Our Saviour, 632 Henry Street, Brooklyn, of which he had been pastor from 1878 to 1918 and known as the oldest pastor in service of the Norwegian churches in the East, died on Tuesday at his residence adjoining the church. He was 73 years old. Mr Everson was born in Norway and came to this county in 1849, settling in the West. He attended Luther College in Iowa, and the Concordia Seminary in St. Louis, Mo., and his first call as pastor was to the Danish-Norwegian Lutheran Congregation of Our Saviour in Perth Amboy, N. J." Special services were held yesterday morning in the Norwegian Lutheran Church of Our Saviour, Henry Street near Third Place, Brooklyn in commemoration of the sixtieth anniversary of its founding. The Rev. Stener Turmo conducted the English service at 10 o'clock. He was the pastor of the church from 1905 to 1923. The Norwegian service at 11 o'clock ws conducted by the present pastor, the Rev. Oscar Bakke. He reviewed the careers of the three former pastors of the church. The junior and senior choirs rendered special music. Services were also held at 4 and 8 P. M. The church is the oldest Norwegian Lutheran church on the Atlantic circuit." "100-MILE GALE LASEHS CITY 42 HURT BY FLYING DEBRIS; SHIPS BATTERED ON CAOST"
..... The police roped off a space about the Norwegian Church of Our Saviour, at 632-633 Henry Street Brooklyn, because its 100-foot steeple was nodding and swaying dangerously as the wind shrieked past it." In August 2020 Charles Petersen sent a copy of a document relating to his great-great grandfather, Andres Petersen, and hand written by the Reverent Charles Sevrin Everson. It having served almighty God in his wise providence to call away from this life our beloved brother, Andres Petersen. We are mindful of his service to our church and people and mourn our loss. We sincerely sympathize with his children in their bereavement and pray that the God of all grace may console them and so guide them that they may meet their own father in the heavenly mansions. The above resolution was authorized by Our Saviors Norwegian Evangelical Lutheran Church at its monthly meeting October 7, 1902. On behalf of the congregation. C S Everson (cannot read)"
The 1800 map of Brooklyn's wards 6 & 12 show what may be a school at the corner of Rapeleye and Henry. What could be 632-636 appears to be vacant lots. A 1908 map of Brooklyn shows Public School 142 at the corner of Rapeleye streets and Henry with a vacant lot between the school and the church. St. Paul's German Lutheran Church, Henry Street between 2nd Place and 3rd Place, erected in 1876. Listed on the 1880 map as Ger. Luth Church". St Paul's Henry Street and Third place, dates to 1872. The first meeting was held in a hall in Columbia street, near Woodhull. Present building erected in 1876; and, including ground cost $15,000. This church has had in succession for pastors, Rev. Robert Neumann, and since 1878 Rev. John Huppenbauer. The Rev. John Huppenbauer, for the last forty four years pastor of St. Paul's German Lutheran Church in Brooklyn died on Thursday at his residence, 11 Third Place Brooklyn, in his 70th year. Mr Huppenbauer was born in Germany and was educated in Switzerland. Soon after his arrival in this country he was ordained in the Zion Lutheran Church in Brooklyn. He married in St. Paul's Church forty year ago to Caroline Hammel, who survives him, with four sons and a daughter." "619 Henry Street, east side, between 2nd and 3rd Place, as seen from Rapelye Street, showing St Paul's Evangelical Lutheran Church erected in 1876. February 21, 1930, P. L. Sperr"
First Place Methodist Chruch, Henry Streets at Summit (West of First Place). The church was built in 1854 on lots "on Henry Street, corner of Summit, being seventy-four feet deep" with a parsonage "on the rear of the lots facing Summit". The church was of brick with brown stone trim. There was a Sunday school in the basement. Since the lots faced First Place the church was named the "First Place M. E. Church". The location of the church was on the southwest corner of Henry Street at Summit (west of first Place). Listed as "M. E. Church" on 1880 map. The building is shown but not identified on the 1886 map. Listed on the 1898-99 map as M. E. Ch. and on the 1903 as 1st place M. E. Church. Listed on the 1916 map. The church suffered a major fire in February 1901. 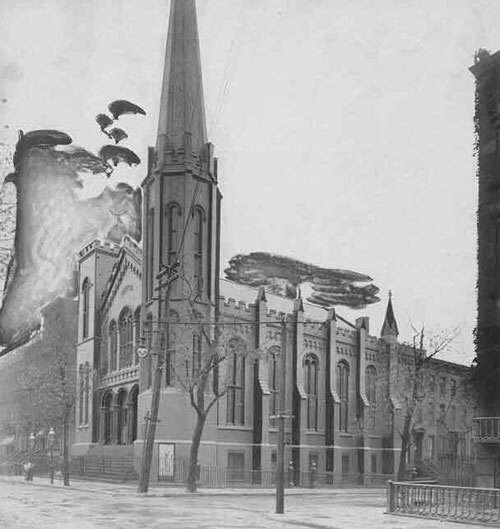 In September 1903 wind "tore out the brick pinnacles of the big steeple of the First Place Methodist Episcopal Church and they fell to the ground. Policemen were also stationed there to warn pedestrians." This view is from the east side of Henry Street between 1st and 2nd places. The buildings on the right and left of the church are still standing. The church is gone. This view is from north of 1st Place on Henry Street. The fron to the church is on Henry the side of the church is on Summit Street. A steeplejack hired to paint the steeple of the first Place Methodist Church took his daughter, Ethel, for a ride to the top on a "whim". The location as it looks in 2013. Corner of 3rd Place and Clinton Street. On the 1880 map as "Baptist Church". Identified in 1886 map as a Baptist Church. On the 1916 map of the area as Tabernacle Bapt. Ch. Tabernacle Baptist Church, Hicks, corner of Rapelyea street, originated with a few members of the Strong Place Baptist Church, who, on February 8th, 1852, formed a mission Sunday school, in a small hall (afterwards called Mission Hall), over a stable in Hamilton avenue, midway between Union and President streets. There were present, at the first meeting, one female and three male teachers, with one female and ten male scholars; and, at the second session, four male and two female teachers, with twenty male and five female scholars. These early teachers were J. V. Harriott, Dwight Spencer and Dr. A. C. Burke; and (ladies) E. Burke and E. Rosling. The school rapidly increased, and in the winter of 1854-5, the labors of William James, a student of the ministry, were secured, and his labors as a colporteur missionary, were greatly blessed and followed by a revival among the scholars, their parents and their friends. In the fall of 1855, at the request of the teachers, a missionary, the Rev. Henry Brownley, was appointed by the church, to labor continually in this field, which was extended so as to include Gowanus, at which a minion school was also established, from which, in 1858, the Greenwood Baptist Church was formed. The first mission school also enjoyed another revival, and being increased to two hundred and fifty scholars, removed, in May, 1857, to a hall on Columbia street, near Summit, where in two years, its numbers were doubled, and a new necessity arose for larger accommodations. Lots were purchased on the corner of Hicks and Rapelyea streets, on which a building (fifty by one hundred, with suitable infant, library and conference rooms), was erected, capable of holding one thousand children. It was first occupied on the sabbath school anniversary, May, 1860, and dedicated on June 10th of the same year. In the winter of 1860-61, a sabbath evening preaching service was held; the Rev. Ira D. Clark selected as the school missionary; and a revival followed in which over forty souls were converted to God. In March, 1861, Mr. Clark left the school, and the propriety of a distinct church organization was discussed, which was finally secured, in the 26th of June, 1862, when the Strong Place Baptist Church granted letters of dismissal to fifty-five brethren and sisters, members of their body who were organized into a separate church under the name of the Tabernacle Baptist Church, Brooklyn. And on the 10th of July following, Messrs. Dwight Spencer, A. C. Burke and John F. Davis were chosen deacons, and in March, 1863, Theodore Shotwell was also made a deacon. Shortly after the formation of the church, the Rev. T. Edwin Brown, a graduate of Washington College, D. C., and a licentiate from the First Baptist church of Washington city, was called to the pastorate; and, on the 13th of November, 1862, was publicly ordained, at which time, also, the church was formally recognized by its sister churches. During his ministry the congregation was largely increased, especially during the first eighteen months of his labors; in the spring of 1866 (in connection with the mission work of Rev. A. B. Earle); and again in connection with the week of prayer in 1868. Mr. Brown resigned the pastorate in 1869, and was succeeded by Rev. A. C. Osborn, D.D. On November 10, 1867, several teachers of the sabbath school, with the cooperation of the church, established a mission Sunday school, in a store hired for the purpose, near the junction of Hamilton avenue and Court street; eighty-three scholars were gathered in on that day, their number gradually increased, and it is now a useful and successful institution. The home sabbath school continues (1869) prosperous, having over one thousand one hundred on its rolls, with an average attendance of from five hundred to six hundred and fifty, and a library of two thousand volumes. Since the formation of the church in 1862, with fifty-five members, it has had a total membership of four hundred and sixty-one, of which three hundred and ninety-six remain at present. The contributions of the church for the past six years, for its own needs, benevolent and sabbath school purposes, has averaged $6,500 per annum. Lots have been purchased on the southwest corner of Second place and Clinton street (extending through to Third Place), on which it is proposed to erect a new house of worship. 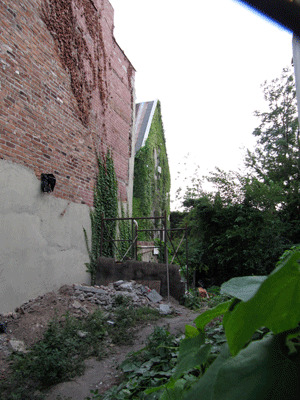 East side of Hick Street above Hamilton below Rapelyea. 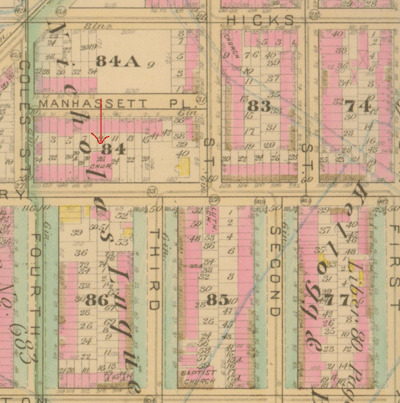 Not on 1886 map - the area appears as a vacant lot. Not on the 1898-99 map - still listed as a vacant lot. Still a vacant lot in 1903. On 1916 maps a Scandinavian church. Church St Bernard R. C. - corner of Hicks and Rapelye. "Baptist Church" corner of Hicks and Rapelye on the 1880 map. This may be in error as the church of St. Bernard was on the corner of Hicks and Rapelyea as early as 1879. In 1872 St Bernard was the name given to a new German Roman Catholic church society which was organized in South Brooklyn. 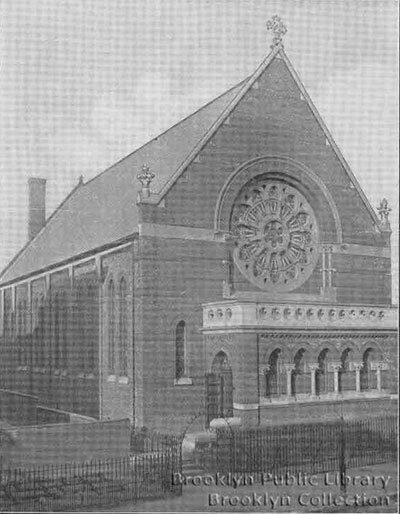 Initially the congregation held their services in "a large Hall located on Hamilton Ave near Hicks street". The "large hall" was the Temperance Hall on Hamilton ave. The pastor was the Rev. John J. Ammann. In 1875 the congregation purchased the Tabernacle Baptist Church and after making some changes had the building consecrated according to the Roman Catholic rites. At a death notice in 1875 St. Bernards was listed at Hamilton Av. near Hicks street. 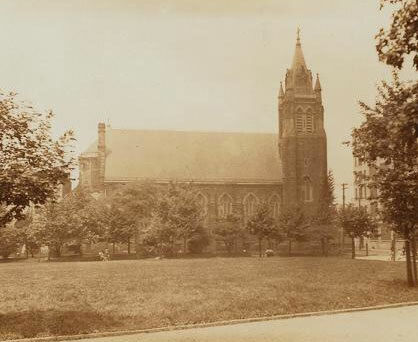 In May of 1879 the St Bernard's choir was mentioned - corner of Hicks and Rapeleye - and in November 1879 St Bernard's Church - corner of Hicks and Rapelyea streets - held their annual Church Fair. In 1880 the high altar, St. Mary's altar and St. Joseph's altar were "newly frescoed, gilded and redecorated". Over the altars in a Gothic niche were two angels holding the instruments of the passion of Christ: spear, cross, sponge, crown of thrones and nails. In the sanitary were to be added images of St. Bernard and St. Aloysius and a painted recess "in the gothic order" of a view of Mount Calvary. New pews wer added with a capacity to seat 800. Around the church were to be installed a series of "elegant paintings" of the stations of the cross, which were donated by prominent Red Hook citizen Nicholas Hurtung. Unspecified "Church" at the corner of Hick and Rapelye street on 1886 and 1898-99 maps. The feast of St. Bernard was celebrated in this church with great ceremony on August 20, 1891. East side of Hick street north of Rapelyea on the 1903 and 1916 maps as St Bernard R. C. - rectory to north of church on 1903 map - rectory to east of church on Rapelye street. St Bernard Parish School on Woodhull street between Hicks and Henry. The school was still in existence in 1921. The building is no longer standing. It was demolished for the widening of Hick Street. There is an apartment building there now. 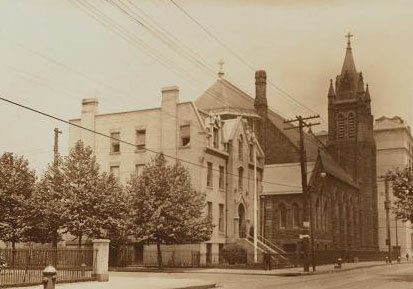 St Bernard R. C. church - Shows the rectory on Rapelye street. On the 1880 map there is a church called St. Stephen on Carroll near the corner of Hicks. On the 1880 map on Hicks between Carroll and Summit streets is the church of St. Peters R. C.
St Stephen's on the East side of Hicks between Summit and Carroll is still standing. It is now called Sacred Heart & St. Stephen's. It was listed as St. Stephen's on the 1898-99 and 1916 maps. St Stephen's school on 1916 map between Summit and Carroll east of church. 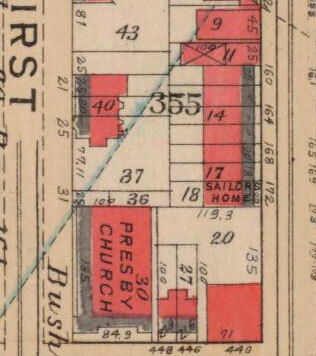 There are unlabeled buildings to the east of the church in the 1898-99 map. 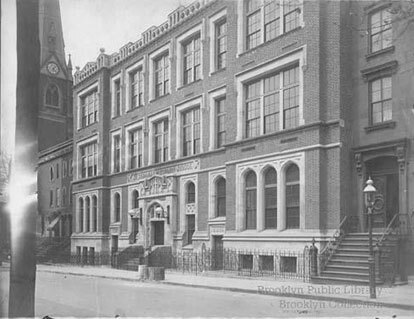 Brooklyn Public Library, St. Stephen's Parochial School 13r Summit street. See Sacred Hearts of Jesus and Mary – St. Stephen (Roman Catholic) Summit Street at Hicks Street Brooklyn, N.Y. 11231 for a history of St Stephen's and Sacred Heat parishes. St Mary Star of the Sea, R. C.
St Mary Star of the Sea listed on the corner of Court and Luquer on the 1898-99 map. It was about 150 feet by 70 feet and seated about 1,800 people. The corner-stone was laid in 1854 and the church was dedicated in april 1855. 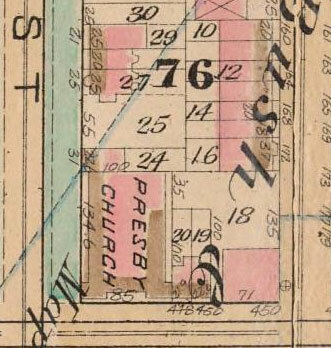 "Epis Church" corner of Luquer and Clinton on the 1886 map. P. E. Church on the 1898-99 map. "Finnish Mission" on the 1916 map. New York Public Library, ID 705522f, Brooklyn Luquer Street, Clinton 1930. *appears as a slight shadow on the extreem left of the image. Corner of Henry and DeGraw. Started in 1845 as the Columbia Mission at the corner of Amity and Columbia streets. Later located on Warren between Hicks and Columbia. In 1878 when this building was opened it was called Pilgrim Chapel. On the 1903 map as Pilgrim Chapel. Listed on the 1916 map of the area as "Oriole Theatre". "480-492 Henry Street at the S. W. corner of Degraw street. To view shows a garage which in 1908 was known as Pilgrim Chapel (no denomination) and in 1916 as the Oriole Theatre, February 21, 1930, P. L. Sperr." Now the home of Met Food. St. Philips Episcopal, corner of Carroll and Clinton - 1886 map. St. Martin P. E. Church south west corner Smith and Carroll 1898-99 map. Now a pharmacy. Congregational church south west corner Carroll at Court 1886 map. South Congregational Church on 1898-99 map. Now a condo. "built in memory of Hans Christian - a successful man who owned a Building Supply company on the Gowanus Canal and second street. He died in 1896"
The Hans S. Christian Memorial Kindergarden was listed at 236 President Street in a May 25, 1899 Brooklyn Eagle article about the the kindergarden. Occupations: Seaman, Carman 1850 & 1860, lime and brick dealer, 1870, building materials 1880, DeGraw Street later Gowanus canal and Second Street. More: Harry L Christian had a well publicized affair with Mrs. Lucy DeFreese. He went to live with Mrs. DeFreese and his wife and children lived separately near by. Harry L Christian senior partner of the firm Christian & Clark, dealers in mason's materials on Second Street, died Saturday after a brief illness, at his home. Eighty-eighth street, corner of Fort Hamilton avenue. Mr Christian was born in Brooklyn forty-four years ago and succeeded his father, Henry S Christian, in business after his death four years ago. Survived by his wife and four children. He left money to the Hans Christian Deaconess Home in President Street (founded by his mother in honor of his father), and the Norwegian Hospital. 1850 Census: Western Division of 1st ward, New York, Christian, Hans, age 26, carman, born Norway, Elmira age 19, Henry 4 months, both born New York, Andrew age 12, born Norway. Mr. Christian was an intelligent man and gave liberally to all philanthropic work. He was a well known builder and dealer in builders' materials, and left a large property, all to his widow, who is a very careful manager. Mr Christian was for nearly twenty years or more the superintendent of the First place M. E. Sunday School and was connected with the management of the Sunday School union. His death was sudden. He had been at Wednesday evening prayer meeting, and on his way home dropped dead." The original Scandinavian sailor's temperance home was located at 32 - 34 Hamilton Street in 1890. It was headed by Captain C "Ullenass". In 1890 the home accommodated 90 men. During 1890 this institution served 1,754 Norwegians, 450 Swedes, and 108 Danes. A small fee was charged for those who could afford it. Destitute and shipwrecked sailors were taken in at no charge. In March 1894 the directors of the Scandinavian Sailor's Temperance Home at Nos. 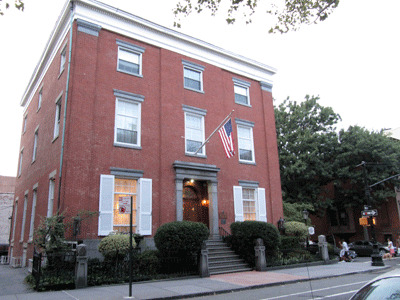 32 and 34 Hamilton Ave purchased property at 172 Carroll street for the new sailor's home. "The building was well adapted fot the purpose" and was in a "respectable and quite neighborhood." "With the removal of the home to this, its own, building there is the well grounded belief that its sphere of usefulness will be enlarged and the sailors will greatly benefit." The property cost $11,000 with a mortgage of $5,500. Some repairs and alterations were needed and fundraisers were planned. C. "Ulieness"* was the superintendent. Neils Olsen superintendent of the New York Yacht cub was one of the directors. The property had been on the market since at least 1890 when it was repeatedly advertised : Trustees sale, "extra large three story and basement "stone house and plot of land 37x100 feet, between Clinton and Henry 172 Carroll street. It was again aggressively marketed in 1893: "three story "stone front" house with lot 37x100, No. 172 Carroll st Brooklyn" for auction April 1893. 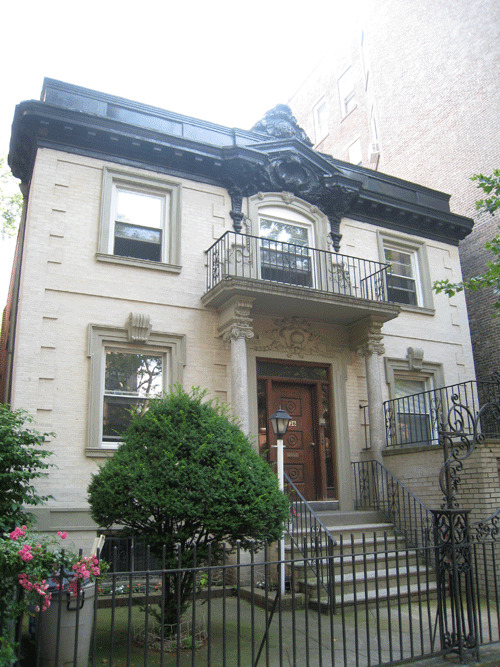 Also listed as a large three story double brownstone with basement. The W. L. Stroud family lived at 172 Carroll in 1882. 1886: Elizabeth age 50 beloved wife of William Lawrence Shroud of 172 Carroll Street March 12, died of Pneumonia. Edmund H. Stroud was at 172 Carroll Street in 1891. 1880: Henry street, Wm S. Stroud	45, merchant, Eng., Elizabeth Stroud	44, Ireland, Edmund H. Stroud	19, Eng., Melinda Stroud	18, Eng., Kate C. Stroud	17, Eng., Geo. H. Stroud	15, Eng., Wm S. Stroud	13, Eng., Ch. B. Stroud	10, New York, Nellie S. Stroud	9, New York and two servants. William Stroud was listed as an iron merchant in the 1870 census in Ward 6. The family had four servants in 1870. 1891: Harriet Sophia Stroud wife of William Lawrence Stroud of 172 Carroll street died suddenly on pneumonia at Galveston Texas in July 1891. In 1900 William Stroud, born Wales, metals dealer, and his family were at 409 Clinton. He had remarried. 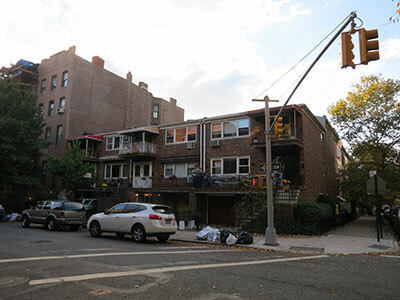 FOR SALE - BROOKLYN Handsome Double house 3 story and basement brown-stone forn 37 1/2 by 50 feet, lot 37 1/2 x 100, finished in black walnut, 18 rooms and bath room, tiled halls, hot and cold water on each floor, in fact, all modern improvements. In first class order. Must be seen to be appreciated. Healthy location, convenient to New York ferries. Price moderate. Apply to owners on premises No. 172 Carroll Street Brooklyn. Also listed as between Clinton and Henry in another 1886 ad. The property sold for $20,000 in 1886. 172 Carroll was for sale in March 1890 "extra large 3 story and basement stone house and plot of land 37 x 100"
1890: Room for rent at 172 Carroll street near Clinton, a large second story front room with heat and running water and a hall room in the third floor, with good home table and service. 1894: The New York Times reported that 1,368 sailors "lived" in the home in the previous year. 1896: A brown stone railing on a balcony in front of 172 Carroll street fell. Carl Quvia [or Ovie or Quire], a Swedish sailor age 24 was thrown to the pavement 25 feet below and died. Peter Olsen, age 28, was also thrown to the pavement but escaped with a fractured shoulder. Michael, Clancy, a boy, playing in the street was also struck in the head and was severely injured. Ovie and Olsen and two other sailors had been amusing themselves on the roof of the temperance home at 172 Carroll when and organ grinder started to play in the street. They leaned over to see and to drop pennies to the organ grinder when the stone coping gave way. The building was the home of a sailor's boarding house. In 1908 it was stated that the sailor's temperance home had been founded in 1889; "to provide a place where waiting or unemployed seamen could live surrounded by religious influences and away from temptations that always beset poor Jack when ashore." 1908: The superintendent was Mr. Osmundsen who stated that sailors had sent $72,000 home during the previous year. 2,228 seamen had boarded in the facility. It was open to Norwegian, Swedish and Danish sailors. 1901 and 1916: Listed at 172 Carroll street in the 1916 directory of New York Charities. 1920: The Scandinavian Sailors Temperance House was still at 172 Carroll street as indicated by the 1920 census. It was under the supervision of Henry A. Johnson, born in Norway circa 1883, immigrated c 1904. He lived there with his family: wife, Frederikke, age 35 imm. 1905, Frederike son 16, Solverg [?] daughter, 13, both born Norway, both imm. 1905, Harry son age 7 born New York Ruth daughter age 3 born NY. There were three clerks, a steward and one waiters all born in Norway and one waiter born in Sweden. There were 49 "boarders". Three were born in New York - two of Norwegian parents, one of Irish/Swedish parents. 11 were born in Sweden. 4 were born in Denmark. 2 were born in Finland. 29 were born in Norway. They were all listed as "seaman merchant vessel" or "sailors house" except for two men listed as "servant" and one listed as "night watchman" (all three "sailors house"). There are numerous sailings for Gustav Forland born Norway c 1858. The addresses seem to have changed slightly. What shows as 172 "Sailors's home" on the 1908 map is now indicated as 174. 1913: When the purposed sale the Manhaset club at 440 Carroll street "in the Carroll Heights section of Old South Brooklyn" was announced the club had been at 440 Carroll for over a decade. The lot in the rear was said to be the "Norwegian Sailor's Home". Some contended that the neighborhood was in declined; others denied that the vicinity was anything but lovely. 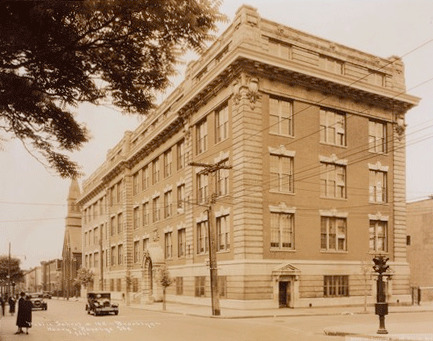 1921: The new Mothers' Maternity Centre Center opened at 440 Clinton street corner of Carroll street under the auspices of the the Mothers' Maternity Center of Brooklyn. 1927: The Norwegian freighter Hesseggen sank when it was rammed by the French liner Paris near the Staute of liberty. 24 survivors were brought to the Norwegian Sailor's Home at 440 Clinton, "corner of Carroll"
1930: 440 Carroll Street: Friethjof Iverson	55, supt- head, rent $50, immigrated 1918, superintendent sailor's home, Hildur Iverson	45, wife, immigrated 1918, Erling Iverson	19, son, born New York, Gunnar Christensen	43, lodger, imm 1903, cook, John Sulle	33, lodger, imm 1920, handyman, Franz Lungren	25, lodger, imm 1922, porter, Hikol Aspen	24, lodger, 1921, dishwasher, Karsten Falck	36, lodger, 1929, dishwasher, Ole Andersen	55, lodger, 1906, handyman, Reicker Gronning	40, lodger, 1912, porter, Leonard Dreyer	54, lodger, 1902 sailor, American ships, Martin Amble	37, lodger, 1915, charpenter, building, Harry Sand	28, lodger, 1922, sailor, American ships, Oskar A Olsen	28, lodger, 1922, charpenter, building construction, Albert Erikson	56, lodger, 1915, charpenter, building construction, Emanuel Ringstrom	60, lodger, Sweden, 1909 fireman apartment house, Cristian Peterson	53, lodger, 1913, charpenter, Oscar Holt	45, lodger, 1907, charpenter, ship yards, Haus Husabo	55, lodger, 1920, charpenter, subway, John Floholm	30, lodger, 1927, charpenter, subway, Sigurd Engebretson	41, watchman, Johanna M Engebretson	48, wife of above, all born Norway except for Erling and Emanuel Ringstrom. The rent was between $14 and $16 per month. Most of the lodgers were single. There were 4 married men. 1942: Hans Gabrielsen, 35, a Norwegian seaman living at the Norwegian Seamen's House at 440 Clinton was arrested on charges of homicide the result of a confrontation with a bartender. 1947: Thor Heyerdahl crossed the Pacific ocean on a raft in 1947. The trip began from Peru in April of that year. According to his book, Kon-Tiki, Hayerdahl stayed at the Norwegian sailor's home on Clinton street while planning his venture. Talking to the seamen at the home Heyerdahl learned much about the sea: waves, shoal water, back-wash, squalls, currants, etc. Heyerdahl met Herman Watzinger at the home. Watzinger, was a university trained engineer who according to Heyerdahl was a landlubber like himself. Watzinger signed on the the expedition. Only one member of the six man crew Kon-Tiki was a trained seaman. Heyerdahl had been living in Manhattan and running our of funds. I picked up my trunk and took the subway out to Brooklyn. Here I was taken in at the Norwegian Sailor's Home, where the food was good and sustaining and the prices suited my wallet. I got a little room a floor or two up but had my meals with all the seamen in the big dining room downstairs. Seamen came and seamen went....... when they talked about the sea they knew what they were talking about. Weeks passed at the Sailor's Home. The Kon-tiki was made into a movie in 1951. Thanks to Lar Nilsen who told me of the connection between Thor Heyerdahl and the Norwegian Sailor's Home. John Kalland died July 1910 - he was born in Norway c 1890 and had lived in Brooklyn for 10 years. A member of the Norwegian Church his home address was given as 172 Carroll street at the time of his death. Interment at Mt. Olive Cemetery. 1914: Dr. Peter A. Reque was one of the founders of the Scandinavian -America Technical School. Courses were given in dressmaking, millinery, embroidery, and domestic sciences. 1918: Lars Ragnval Reque 440 Clinton Street, Brooklyn, age 38, dob November 11, 1879, native born, assistant to physician. Dr. P. A. Reuque, 440 Clinton Street, Brooklyn, nearest relative, S. G. Reque, 1045 Walnut street, Allentown, Pa., tall, medium build, grey eyes brown hair. 1919: Lars P. Reque was having lunch with his sister-in-law, Mrs. Reque, at 440 Clinton when the U. S. Paymaster was robbed in a taxi near Clinton and Carroll street - the location was described as a"prim Brooklyn neighborhood". 1922: Dr. Reque bought the well known Langley estate on Montauk Highway in Bellport for an estimated $125,000. It contained 45 acres and 1,00 feet of beach front on the Great South Bay. The main house had 25 rooms, there were several out houses and a house for servants. 1928: Dr. Peter A. Reque of Brooklyn and Brookhaven was held on $3,000 bail on charges of manslaughter in the second degree. On March 4th he was driving fiends, Dr. and Mrs. Alexander Brunn, to their home in Bellport when they collided with another car. The hub caps locked ad the sedan driven by Dr. Reque "shot across the road" and crashed into a tree. all the occupants were trapped in the car which caught fire. Dr. Brunn was so badly burned that he died in the hospital shortly after the accident. The other driver disappeared. He was located through the missing hub cap. He was brought before the court but was held not responsible. It was claimed that Dr. Reque had been drinking. Dr. Brunn was severely burned. His wife suffer a fractured scull and minor burns, and Dr. Reque suffered only minor cuts and bruises. 1935: Dr. Peter A Reque of 111 Montague st and Charles L Huisking on Huntington, N. Y. received the gold cross of Knighthood of the Order of St. Olav. The presentation was made at the Norwegian Club in Columbia Heights by the Norwegian General Council. 1938: Dr. Peter A. Reque was president of the Norwegian Club in 1938. 1941: Reque Dr. Peter, on December 4, age 72, beloved husband of Clara and father of P. Eugene Reque, Eldrid R McGuire, and Dr. Paul Reque. Interment Arlington National Cemetery. Dr. Peter Reque of 166 clinton street was for many years a teacher at Long Island College of Medicine and the College of Physicians and Surgeons. He was born in New Lisbon, Wis and came to Brooklyn in 1896 a year after he had received his medical degree from the University of Vermont. He interned at Bellevue and the Old Eastern District Hospital. He was a specialist in urology and dermatology and before his death was connected with the Norwegian Hospital. He served in WWI with 76th Field Artillery, Third Division, stationed at the base hospital at Camp de Mencon. Aside from his medical practice, Dr. Reque was chiefly interested in maintaining the bonds of friendship between Norwegian-American and the people of their homeland, and was active in furtherance of this cause throughout Minnesota, Iowa, and Wisconsin. He was also prominent in Norwegian shipping circles, at one time being president of the Olsen Towing Company of New York." He was active in the Norwegian Hospital, the Norwegian Children's Home, the Aker HOme for the Aged in Staten Island, The Norwegian Club, the Scandinavian Seamen's Union, and the Seamen's Church and the Norwegian Sailor's Home. He was survived by his widow, Mrs. Clara S Reque, two sons, Dr. Paul G Reque of Duke University, and P. Eugene Reque, a daughter Mrs. Eldrid R. McGuire, and a grandson, Peter A Reque 2nd. Ole Boardson born Norway c 1871 of 172 Carroll street died in 1924 . Survived my his mother, three brothers and four sisters. Member of the Pelham Lodge. Buried Mt Olive. Naturalization November 30, 1903, Bardsen, Ole, 172 Carroll street, Brooklyn, sailor, dob Nov 24, 1870 Norway, date of arrival in US March 22, 1893, witness, Chas J Johnson, 172 Carroll street sailor. 1920: At 172 Carroll with Henry A Johnson, listed as a boarder, seamen merchant vessel. See 1920 census above. 1921: Passport Ole Bardsen, born Christiana, Norway Nov 24, 1870 to Baard Teilefsen, born Christiana, deceased, immigrated ci March 21, 1893, in Brooklyn 28 years, address 172 Carroll street, naturalized Nov 30, 1903, occupation sailor, had resided outside the US for five months in Norway fron October 1907 to March 1908. and for two months from June 1911 to Sept 1912, sailor employed on private yachts along the coast of the U. S., age 50, 5 ft 9 inches, blue eyes, mustache, blonde, there is a photo. 1921: As a passenger from Liverpool on the Baltic Dec 31, 1921, Ole Bardsen, age 51, naturalized District Court Brooklyn, Nov 30, 1903, address 172 Carroll street, Brooklyn. Tellef Baardsen Norway, Baptisms, 1634-1927 birth:	12 June 1869	christening:	8 August 1869	IVELAND, AUST-AGDER, NORWAY father:	Baard Tellefsen mother:	Anne Olsdr. Ole Baardsen Norway, birth:	2 November 1870	christening:	11 December 1870	IVELAND, AUST AGDER, NORWAY father:	Baard Tellefsen mother:	Anne Olsdr. Ole Tobias Baardsen Norway, birth:	25 August 1874	christening:	17 September 1874	IVELAND, AUST-AGDER, NORWAY father:	Baard Tellefsen mother:	Anne Olsdr. 1886 map - Carroll street is on the Right - First Place in on the left - - Clinton is on the bottom. 1898 map - Carroll street is on the top - Clinton is on the right. 1908 map - Carroll street is on the right - Clinton is on the bottom. Red (or pink) indicates brick, grey indicates stone. 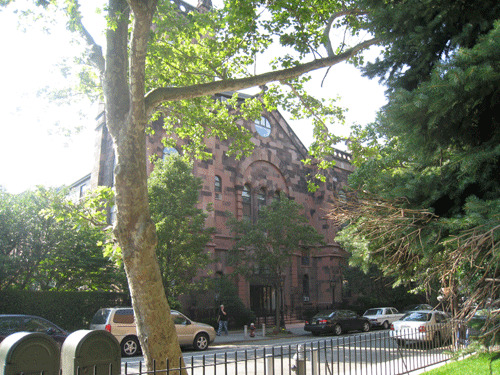 The Westminster Presbyterian Church became the Norwegian Seamen's Church in 1928. When it was built about 1840, this mansion was surrounded by farmland and commanded a magnificent view of the Upper Bay. John Rankin, the original owner, was an affluent Brooklyn merchant. Little altered since its construction, and retaining its original ironwork, this building is one of the finest Greek revival residences in the City, with full height brick pilasters, symmetrically placed windows and a handsome central doorway. 440 Clinton - now the Guido Funeral Home. Thanks to Lars Nilsen for pointing out this building which was built in 1905 and dedicated in 1906. You may quote up my original text from this web page and use any cited quotes on this web page provided you give proper acknowledgement to this web page and include the same acknowledgments that I have made to the provenance of the information.